Jennifer is definitely over 50 and has a passion for helping other women find good health and fitness so they can feel fabulous and get the most out of their lives. She launched her podcast Fit’n Fifty Plus in October 2015 to help her listeners achieve the health goals they have always wanted. Jennifer has had a long career in public health, starting as a registered nurse in intensive care and coronary care qualifications, and moving through to be a Hospital Chief Executive. She decided at the age of 50 to become an amateur triathlete, but to do that she had to learn to ride and swim. Jennifer holds a Masters in Science, is an accomplished international speaker, researcher, certified wellness coach and the author of a book about to be released: Fit'n Fifty Plus: How to get fit and stay that way. Everything you always wanted to know but were afraid to ask. 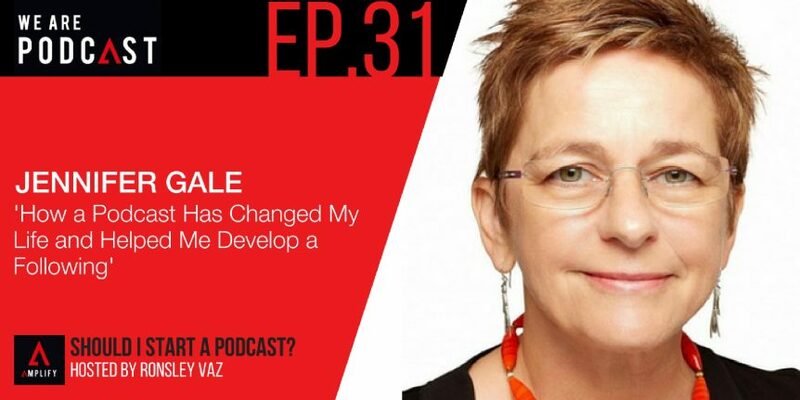 How she helped her older clients become up-to-date with technology, and feel changed and amazing? How her view of podcasting has changed? How podcasting opened up her channels of information in a massive way and gave her access to international people? How podcasting is an easy way to access detailed information about a variety of people? “I always wanted to work for something but I wasn’t sure what it would be. Find your avatar, work through it, ask people what they think about it. Always be inquisitive. “I knew what was going to be important from the beginning. Once before, many many years ago, I set up a business for about eight months and it was just not good. I was lonely, I really didn’t market. And so I went back to work. In the intervening years, I thought about why. I’ve learned about myself. “I realised that I’m the person who needs to talk to other people and that I won’t survive if I don’t. I need to learn as much as I possibly can. So, for me there’s an absolute necessity to learn quickly and get up to speed quickly and all of those things. “You can get out of control when you work for yourself. I had to learn to put more boundaries around myself.